Squint Surgery | Corrective Surgery For All Types Of Squints| Challa Eye Care. There are six different muscles attached to each eyeball and they tend to work in pairs. Imbalance in this muscle coordination results in squint. During the Squint operation in a pair of muscles one is weakened and the other strengthened to make the eye straighter. It may be necessary to operate on both eyes to balance them, even if the squint is only in one eye. 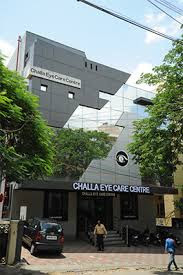 At Challa eye care centre with one of the best squint eye specialist in Hyderabad, we use the latest techniques and materials in all squint surgeries. This results in faster healing, more comfort in the immediate post-operative period and better cosmetic outcome. Challa Eye Care Centre is known for having a high quality of Squint surgery setup in Hyderabad. We are one of the leading centers with one of the best squint Eye Specialist in Hyderabad who is a pioneer in squint surgery.